We have all experienced it: the jolt of an insight arriving like a thunderclap, the metaphorical light bulb over your head as you drive to work, take a shower, or unload the dishwasher. These all-too-elusive "aha moments" come sporadically and without warning. But what if insights could be accessed more reliably in everyday life? Charles Kiefer and Malcolm Constable have the tools to make this possibility a reality. Based on the authors' years of research, reflection, and experiences with colleagues, friends, and business clients, The Art of Insight presents practical methods for recognizing and cultivating an insight state of mind. All too often, decision making is a forced experience that promotes recycling of old ideas and old ways of thinking. Kiefer and Constable's Insight Thinking Methods are designed to foster fresh thoughts and perspectives. But this is not a rigid set of rules-it's a creative pursuit. Guided by their user-friendly practices and helpful exercises-both in the book and online-you'll develop your own personal approach to cultivating a mindset where insights come readily so that new or longstanding problems are solved with confidence and ease. It is the simple truth that one insight can change your life, and the next can change your organization or even the world. 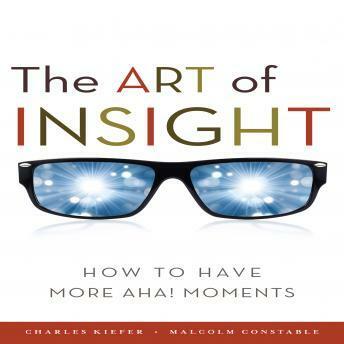 A go-to-guide that can make the complicated effortless, The Art of Insight offers a path to becoming a more effective thinker and decision maker.